KWARA AGAIN! Before Legacy continues kill our youths. When some months back news had it that the Kwara State NYSC Orientation camp at Yikpata was nothing to write home about. 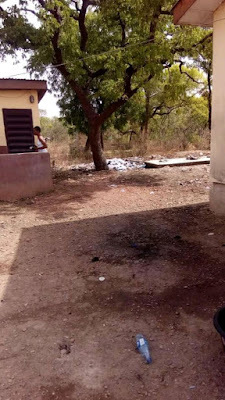 Governor Abdulfatah Ahmed'd e- servant quickly went to town to say their Maigida was about renovating putting the place in shape. I told a friend that Governor is not that visionary.I mean, why should I expect a Governor who supervised the destruction of the education sector in his state, one that has no sustainable empowerment scheme for young people to care about some less than five thousand young people coming together for three weeks. 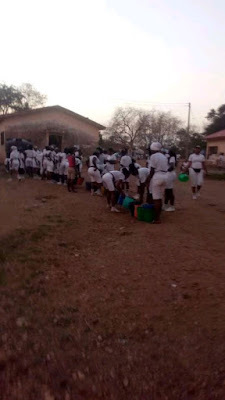 As at today, there is acute shortage of portable water in the camp, Corp members are allowed to fetch just a pocket of water a day. 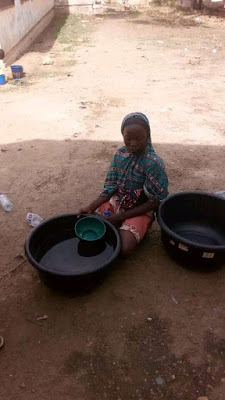 Any one that needs more buys from rural women who had to sell water from the stream at 50 naira per pocket.There is acute power shortage in the camp and the sanitary and environmental conditions are bad too. This is not how to support young people from across the nation who are brought together under the rain and in the sun to SERVE their fatherland.I hope Kwara 'll wake up before Nigerians wake to hear of an epidemic in the camp. I still dont know who cursed Kwara with these legacy continues visionless people. #Enoughisenough #Voteoutanyhingsarakite.